Dr. Katherine C. Hoey was born and raised in Northern California. She moved to Nashville after she graduated from the University of California, Los Angeles to spend time dabbling behind the scenes in the music industry before attending medical school at the University of Virginia in Charlottesville, Virginia. She completed her pediatric residency training at Monroe Carell Jr. Children’s Hospital at Vanderbilt. She is proud to call Middle Tennessee home, where she lives with her musician husband and baby boy. She has come to love the warm Tennessee summer nights and great Southern barbecue. In her spare time, she loves reading, sewing and Nashville’s many parks and hiking trails, and looks forward to the many adventures that raising children in middle Tennessee will bring. 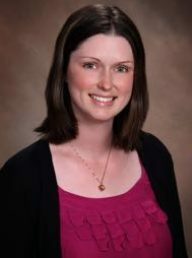 Becoming a first-time mother while completing her pediatric training has helped Dr. Hoey appreciate and understand the trust parents place in their child’s physician.